This Salamander RP75TU twin pump is designed specifically for one/two bathroom systems where there is a need to boost tank fed hot and cold supplies to baths, basins or showers which may be above and/or below the cold water storage tank(s). Previously known as ESP75 CPV, find Right Pump 75 TU pumps at Salamander Pumps. For maintained pressure at higher flow rates, you need one of our Right Pump 2.0 bar shower, bathroom and house pumps. The centrifugal impeller means these pumps offer an extra boost to your shower/system, and are quiet with it. This premium twin ended pump will quietly and efficiently boost the hot and cold water supplies to showers, bath basins and toilets in a negative head or positive head gravity fed installation. It’s also suitable across a wide range of shower types and heads, single mixer taps and will refill your toilet cistern in double quick time. The most powerful 2.0 bar pumps in the range. Crossover technology – allows them to power just hot or cold or both. 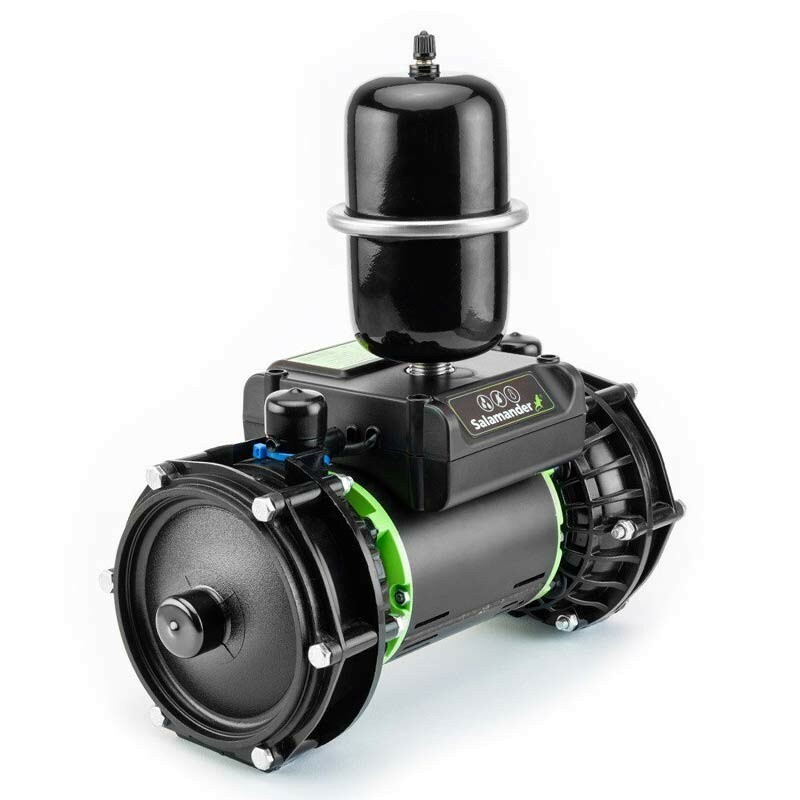 All salamander pumps are fitted with a mains lead and an appropriately fused moulded 3 pin plug. If you require assistance with selecting the correct pump for your needs please contact the Tapstore pump advice line on 0843 658 0062.